Also called lumbosacral radicular syndrome, irritation of the sciatic nerve causes sciatic nerve pain. The pain starts in the lower spine or lumbar, buttocks, and hip and travels through the thighs. The level of pain can go from deep and dull to sharp and can range from mild to severe. Lumbar spine issues such as herniated disc or bulging can cause sciatic pain. It can also be brought about by situations where the bone changes, such as degenerative disc disease, osteoarthritis, stenosis or narrowing of the spine, or a condition that affects the spine named spondylolisthesis. These conditions put stress on the sciatic nerve, which then causes symptoms of sciatic nerve pain. 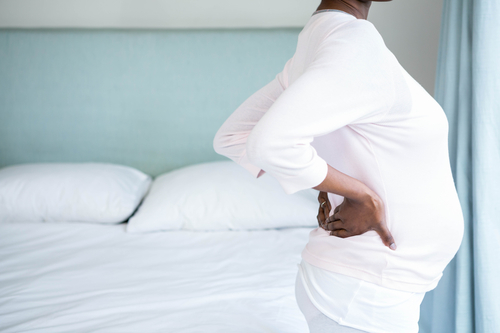 During pregnancy, sciatica that is caused by a herniated disc isn’t uncommon. However, symptoms similar to sciatica are usual with low back pain that pregnant women experience. 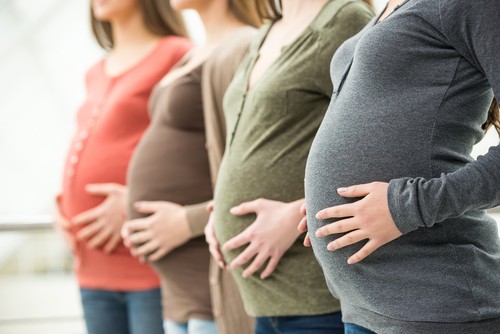 Between 50 and 80 percent of pregnant women experience back pain. Symptoms of sciatica can also arise from unstable joints and muscle tension. Pain in the pelvic bone also called sacroiliac joint problems, and piriformis syndrome, which is an issue with the muscles in the buttocks, are the usual causes of sciatica during pregnancy. There is an increase of relaxin, which is a pregnancy hormone, which makes the ligaments, which are the structures that link bones to joints, loosen up and stretch, specifically in the pelvic area. The baby’s growing weight inside the womb can also contribute to piriformis syndrome or sacroiliac joint problems. The added weight puts more stress on the mother’s hip joints and pelvis. Sometimes the baby’s position in the womb also adds stress to the sciatic nerve. As always, call your doctor and discuss any pain you are experiencing during pregnancy. Some of the treatments that are known to relieve sciatic nerve pain during pregnancy are chiropractic care, massage, and physical therapy. Pregnant women can also try some in-home, self-treatment that includes exercises and stretches. These exercises can help stretch out leg muscles, buttocks, and hip to alleviate the weight on the sciatic nerve. Some also find relief from physical activities such as swimming and other water workout routines; this is due to the water helping support the baby’s weight inside the womb. These are the stretches you can do to help with sciatic nerve pain and discomfort during pregnancy. This type of stretch helps with the muscles of the back, back of the legs, and buttocks. First, stand facing the table with the feet places a bit wider than the hips. Lean forward on the table. Keep the arms straight while the back flat. Pull the hips away from the table, stretching the lower back and the legs. You can also move the hips from side to side to add more stretch in the hips and lower back. Hold for 45 seconds to 1 minute, and repeat twice a day. This is a popular yoga pose that helps alleviate sciatic nerve pain. Pregnant women can comfortably do this stretch with just a few minor modifications. Get on the floor on your hands and knees. Slide the right knee forward, so it’s placed between your hands. Slide the left leg backward, while keeping the foot on the floor. Put the rolled-up towel (or you can also use a yoga block) under your right hip. Doing this step will make room for the belly. Lean forward over the right leg, and lower yourself toward the ground slowly. Make sure there’s a pillow under your arms and head for added support. Hold this position for a minute and repeat on the other side. You can repeat this throughout the day.